On September 23, 2000, more than thirty heads of Massachusetts’ chapters of national sports and medical associations, educational organizations, and professional associations met at Children’s Hospital in Boston to participate in a consensus meeting to develop a sport parent code of conduct for the state. The meeting was convened by the Massachusetts Governor’s Committee on Physical Fitness and Sports and the National Youth Sports Safety Foundation, Inc. 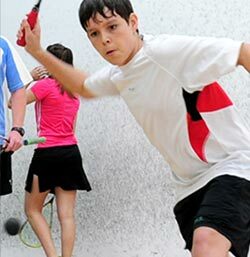 This agreement was drafted for many different sports and has been tailored to our squash program at the Chatham Club. This document will be given to those who have violated one or more items. If you are given this document by the prostaff or the club manager then, you will be expected to read sign and return the document promptly. 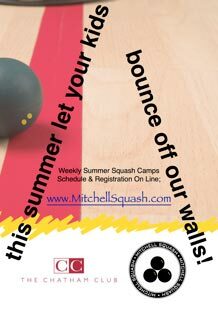 I will learn the rules of the game and the policies of the squash program & the USSRA. I (and my guests) will be a positive role model for my child and encourage sportsmanship by showing respect and courtesy, and by demonstrating positive support for all players, coaches, officials and spectators at every practice, match and tournament. I will respect the coaches and the officials and their authority during practices and tournaments. I will never question or confront coaches during lessons, practice or at a tournament, and will take time to speak with coaches at an agreed upon time and place. I will refrain from coaching or interfering with my child or other players during practices. 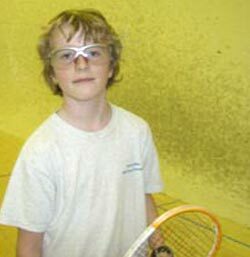 I will remember that my child is equal to, but one of many juniors taking part in the squash program. I will respect and remember that many decisions the coaches make are made for the best of all the juniors in the program even though they may not be ideal for my own child.